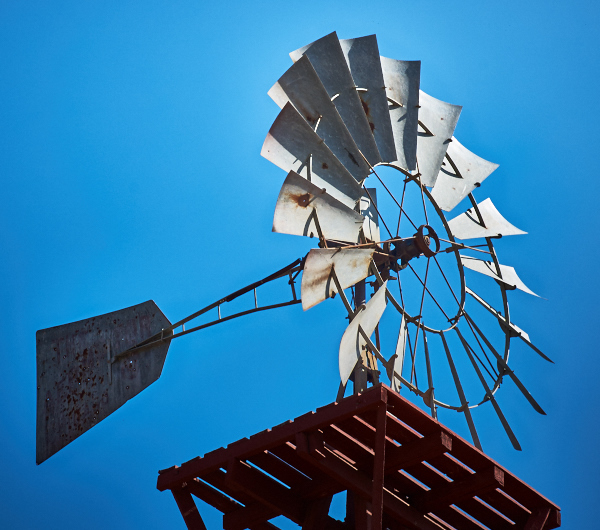 Escape from the frenzy of the city and enjoy the tranquility of open space and wilderness. Sound like an overnight trip to some remote area? 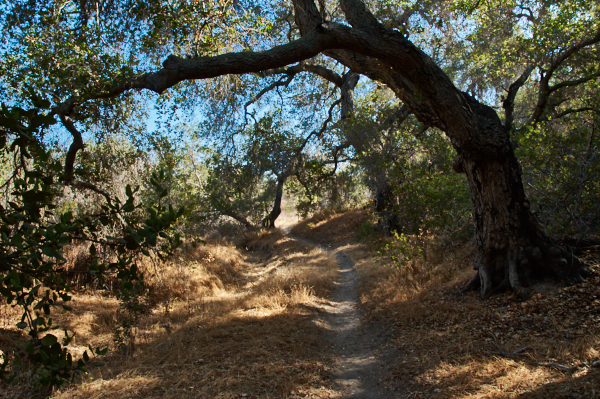 Not really, Ronald W. Caspers Wilderness Park is only 45 minutes drive from Fashion Island in Newport Beach. 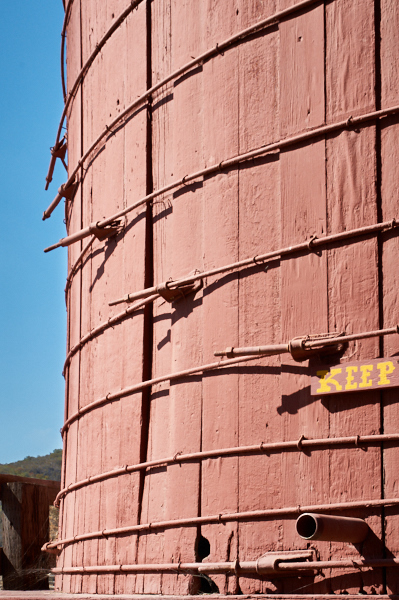 It is located adjacent to the Ortega Highway (74), just a short distance outside of San Juan Capistrano. 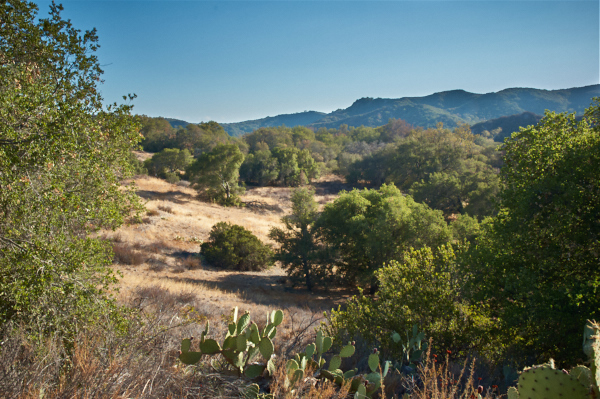 Caspers Wilderness Park is an 8,000 acre protected wilderness preserve nestled among the river terraces and sandstone canyons of the western coastal Santa Ana Mountains. 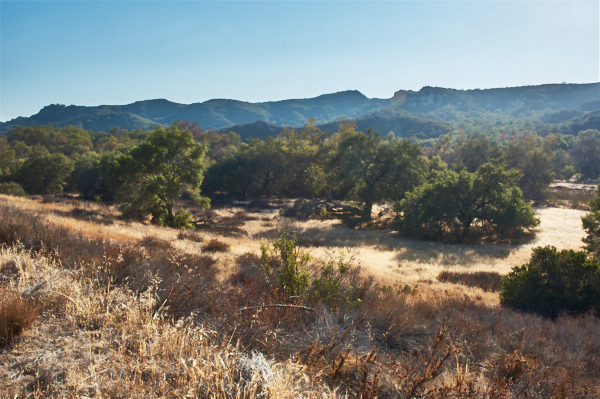 The park’s many fertile valleys are overtly complemented by specimen groves of native Coastal Live Oak and magnificent stands of California Sycamore. These areas are further accentuated by seasonal wildflower displays and running streams. 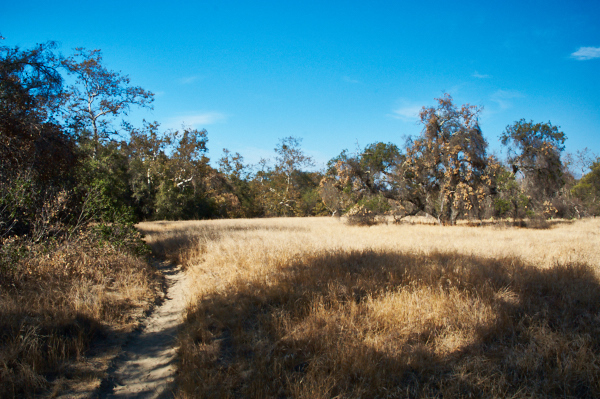 Wildlife is abundant and can be readily viewed from any of the parks numerous trails. 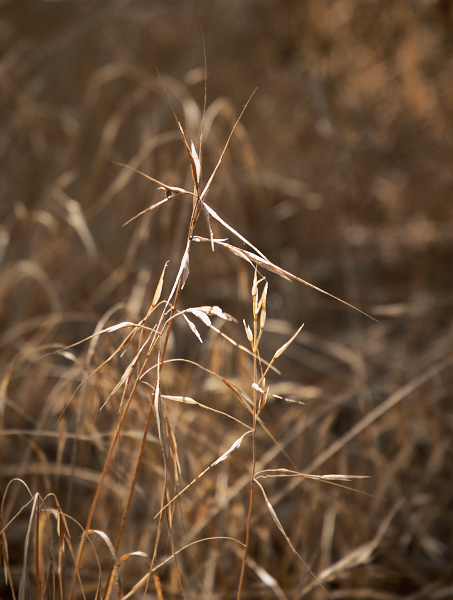 The other day I felt like unwinding a little and decided to explore the park with my camera. 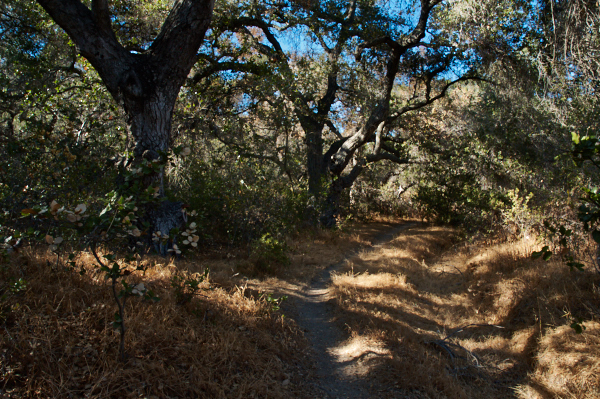 Being new to the hiking scene, it seemed appropriate to take a short loop starting at the Old Corral Picnic area taking the Nature Loop trail to the Oak Trail, then a portion of the Star Rise Trial to the Bell Canyon Trail returning the the starting point. In all, the hike was about 3 miles in length and very easy to negotiate. As far as abundant wild life goes, two hawks and one lizard were observed. Not exactly an African safari. 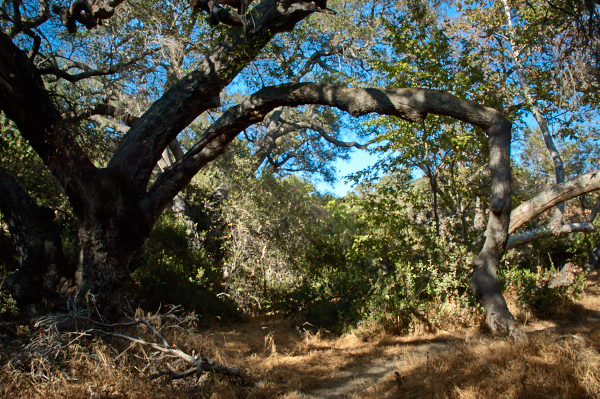 There are, however, abundant stands of old oak trees with gnarly character that provide shaded paths and interesting shadows. 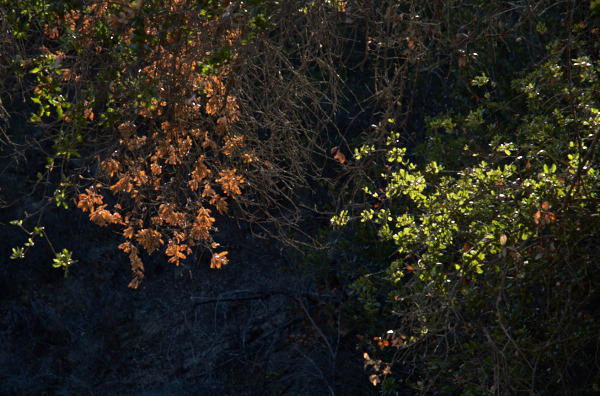 Below are a few photographs taken along the trail.